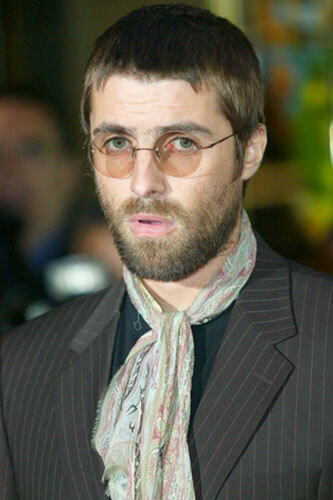 The former Oasis rocker joked about a recent story in which his sibling tried to ride a dog during a boozy night in London, and he compared his ex-bandmate to Native Indians introduced to alcohol by European settlers. He told The Sun newspaper: "Liam's got a tough of the Red Indian in him when he has a drink. "When the Europeans went to America, they got the Red Indians p***ed and bought Alaska off them for a f***ing milk-bottle top.
" 'Wahoo! Firewater!' There's a bit of that in Liam when he's drunk. 'Wahey! Let's have a go on that dog!' I'm all right when I'm drunk, I wouldn't ride an animal, though." The pair have constantly argued, with their feud leading to Noel quitting Oasis in August 2009 - and he insisted their mother Peggy does't mind that they don't talk. He claimed: "She's not arsed. We spoke about it once and that's it. How can you be bothered about two grown me in their forties who don't speak to each other? "What's she going to do? Order me to call my brother?"